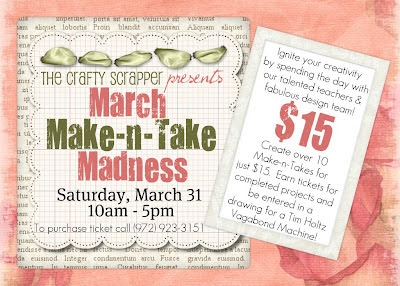 7th Annual Birthday Bash at The Crafty Scrapper! 1. Remove all items from lunch sack. 2. Cut the bottom of the bag off along the bottom crease. The bottom piece is what is painted green and shown above under the mason jar. 3. Paint the bottom piece of the lunch sack with Shabby Shutters Distress Crackle Paint. Allow to dry. 4. Stamp both sides of shipping tag with a background stamp inked with Worn Lipstick Distress Ink. Ink edges with an ink blending tool. 5. Cut out the mason jar, balloons with strings, and smile strip of patterned paper. 6. Outline the balloons with various colored Spring Stickles. 7. Cover the SMILE tiles with a think layer of glossy accents. 8. Adhere painted bottom of sack to shipping tag at an angle. 9. Layer and adhere balloons, mason jar, and smile strip. 10. Trim down and adhere pleated Maya Road trim and ribbon flower using Glossy accents. 11. Fold the remaining lunch sack to create a pocket. You should leave about 1/5 of the top of the sack showing after it is folded. 12. Adhere pink ledger paper to inside of pocket. 13. Adhere polka dot and striped paper to outside of pocket using Ranger Glue Stick. 14. Staple on remaining trim and lace to two sides of envelope where the striped and polka dotted paper meet. Make sure to staple all the way through the lunch sack to the back as this holds the lunch sack in place to create the pocket. This post is from Design Team Member Ginger. This is a mini album using the new line of BoBunny - Country Garden Collection. It is so gorgeous and it reminded me of my sweet granddaughter Kenzie. 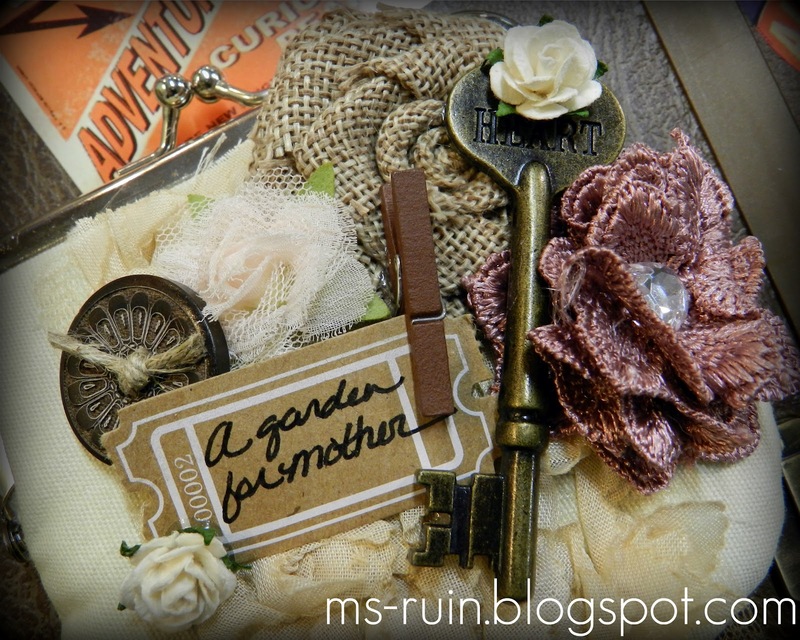 I used the Country Garden Cut Out for this front of this album. I then added Prima flowers and a white lace ribbon and then added a little Bird from K & Company. I cut out using Martha Stewart butterfly punch and added those to the spine of the album. I decided to use the gorgeous papers and added Maya Roads Crochet flowers, ribbon, tickets and stick pins. I inked the outside with Tim Holz Distressed Ink - Vintage Photo. I used Martha Stewart Deco Fan punch and the pretty white lace and pink ribbon. I love these two photos of Kenzie. She was just a month or two old. I used the Martha Stewart Deco Fan Punch and inked them with Adirondack Fired Brick. I added the white lace and ran the pink ribbon through the little holes and added White Pearls from Pebbles. I also added Prima flowers and Maya Roads clothes pin. 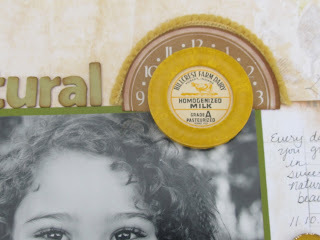 On these two pages I really love the Country Garden paper. I tore and inked and added a little poem about a precious little baby. I added from Maya Roads clock, cloth butterfly clothes pin which I inked with Adirondack Fired Brick. On the second page I love this sweet photo of Kenzie while sitting in this brass tub with her lotion, bubble bath, etc. I added a pink little ribbon to her hair and then I took banner tags from Maya Roads and added the letters BATH. I also used a templet from my Cuttlebug to give texture to the blue paper and then I inked it. Here in these photos Kenzie is a year old! I used Martha Stewart Punch and inked the edges. I added Pink Ribbon and added Sugar Dots to the knot of each ribbon. I also added Flowers from Maya Roads. I love the little sugar coated hearts and the little fourish by Zva. I just love this photo of Kenzie sipping on her little Minute Maid juice. I used Martha Stewart punch and inked them. I added little green ribbon to each corner plus added by Maya Roads the pretty blue flower ribbon. 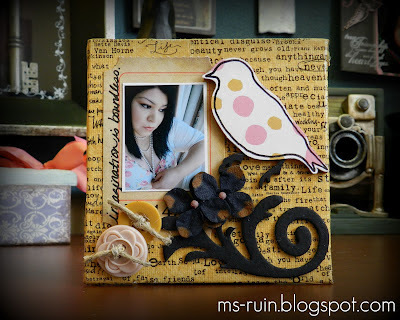 I also used Prima flower and little birds from K & Company. These two sweet photos is Kenzie and she is around 2 & 3 years old. 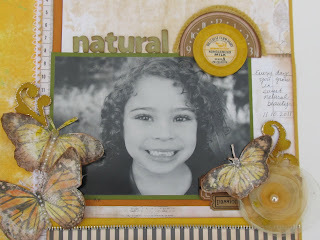 I love the Country Garden papers which showed the pretty butterfly which I added a cute little bird. I used from Maya Roads the pretty ribbon, flowers, tickets and stick pins. Of course I added the ticket with the word Remember and the sweet little sugar coated heart. I decided to place a pretty vintage card and a little owl from Maya Roads and the pretty red lace and accent the lace with pink ribbon and little pearls. I had in my stash the little beads to spell Kenzie. The photo Kenzie is 3 and we had just gotten back to the house after eating ice cream. She love that!!! I added a little hand and painted it plus a clothes pin, and little silver cookie cutters that was given to me by my BFF Patty. Thank you Patty! Here is the last page of this mini album. Kenzie is dressed in her little Texas Longhorn cheerleading outfit. Of course being from Texas we had to buy this outfit!! 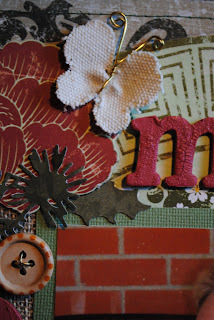 I used Deco Fan by Martha Stewart, Prima Flowers, and Zva flourish. I also used the rose blue ribbon and added the Sugar Coated Hearts. Here is the back of the mini album. 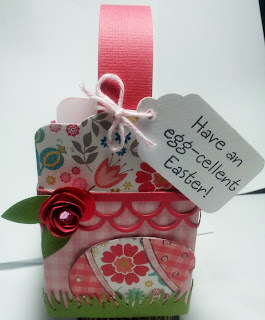 I added this lovely paper and the little tag from Country Garden. I also used the blue flower ribbon. 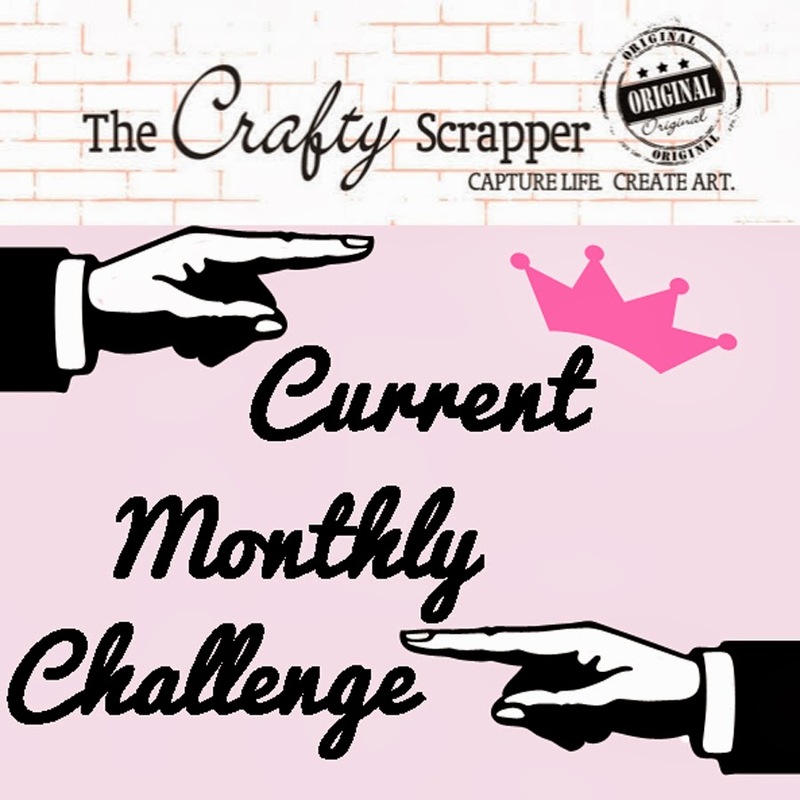 Thank you so much for looking and please check out The Crafty Scrapper!! This post is from Design Team member Patty. 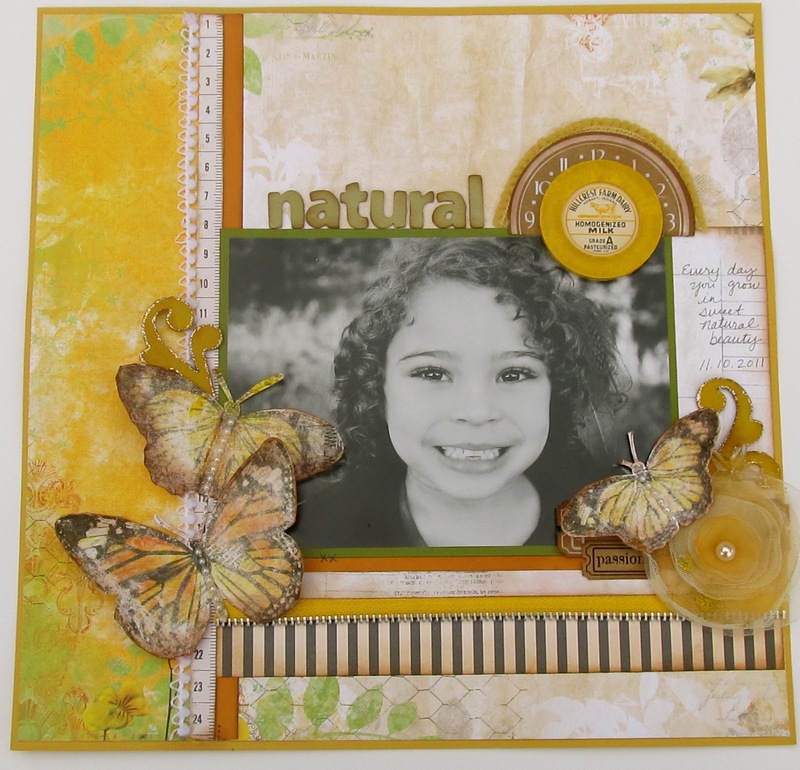 This LO was done with the beautiful Serenity Collection by BO BUNNY PRESS and lots of MAYA ROAD products. Also, the leaves are by PRIMA. The quote is a stamp by DYLUSIONS by Dyan Reaveley. Techniques used include paper folding, machine stitching, die cutting, painting and a little fussy cutting. For interest, I added some wire from my stash to the sweet little MAYA ROAD Butterfly Canvas and just twisted it to create the body and antennae. Here, I cut, inked, folded and stitched the paper that lies horizontally, across the bottom of the photo. 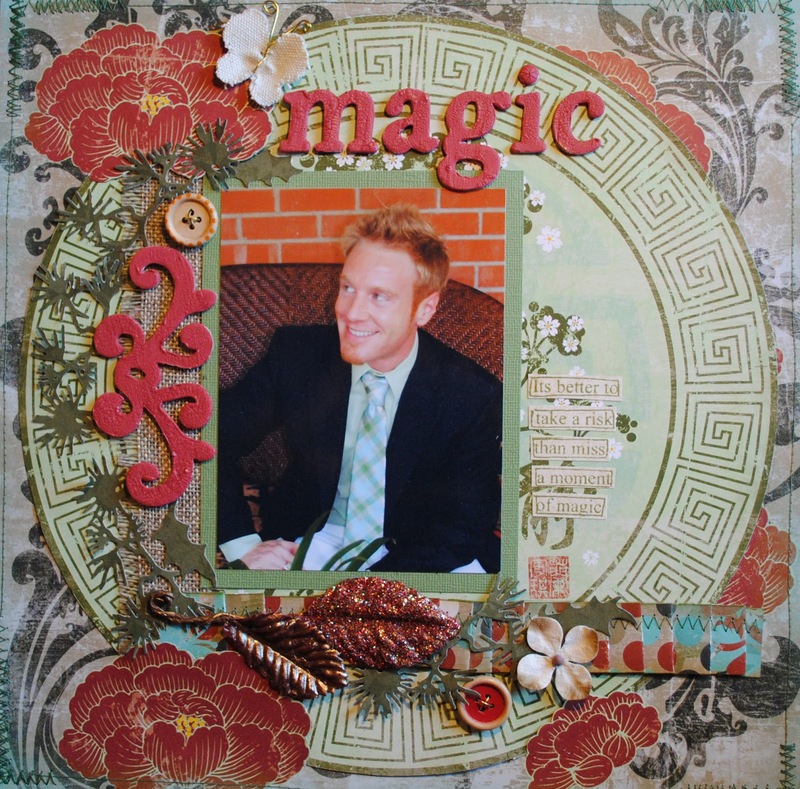 The MAYA ROAD Decorative Scrolls Chipboard piece is painted with RANGER INK / TIM HOLTZ Crackle Paint in "Fired Brick". The Tim Holtz Alterations Die Cut, "Festive Greenery" lent itself well to an Asian theme. "The Crafty Scrapper is having its first March Make-n-Take Madness event, and I am one of the teachers! Woo Hoo! First, let me show you what my make it take it will be and then I will give you the event details. Enjoy! 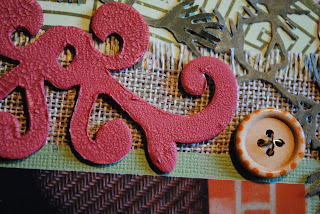 My first thought was to make a tag using the tag die-namics from My Favorite Things. Well, actually I did do a tag ... can you see that the two sides is made with this tag die, but that adding a strip of paper in between, my simple tag evolved into a box?! I love how it came out, but will it be super quick to make? Maybe, maybe not. But, I will have everything ready, just as I do for my regular class kits. Carolyn, the owner, wanted us to do a make it take it that reflects each of our styles. I think I did that. That's me ... dies and paper piecing! I think it came out pretty darn cute, what do you think? Now that is a deal! If you are local, maybe I will see you there! Tina!" I have been creating some layouts with the pictures of my children from the last year. This photo is from an October photo shoot with Stephanie Wilson Photography. I'm not sure if you can tell in the pictures, but I covered the butterflies in Rock Candy Distress Crackle Paint to give them a beautiful textured dimension. Above the butterflies on both sides I misted Maya Road chipboard scrolls, and outlined them with Platinum Stickles. I love the soft beauty of this fabric flower. I layered in Maya Road zipper trim. I sneaked in some kraft tickets by Maya Road to emphasize the natural theme of the layout. This is from Design Team member Sonia. For a rundown of all of the projects plus a peek at the design team (including me) and teachers, check out the official announcement here. I guess I'm free to show you my entire project now! So this is what you will be making when you come spend some time with me on March 31st. We will be making a canvas --I believe it's a 6x6 canvas. We will be wrapping it with tissue paper, mod podging it and then embellishing it. If you would like to bring a picture for this project, please do so! 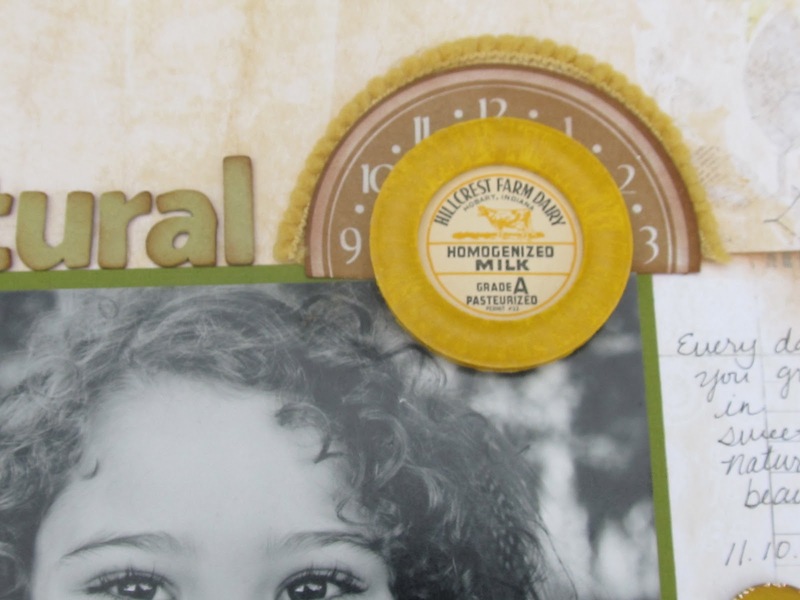 We will have tons of chipboard for you to use on your project. This just an idea of what you can do. So many people are afraid of canvas --canvas is your friend and I will help you overcome your canvas anxiety. See you on the 31st from 10am to 5pm! This post is from Design Team member Sonia. "Everyone is going nuts over this Maya Road coin purse. It's growing on me. HA! No, really, I recognize that it's beautiful but it's also very NOT ME. However I think this will be a wonderful Mother's Day gift. 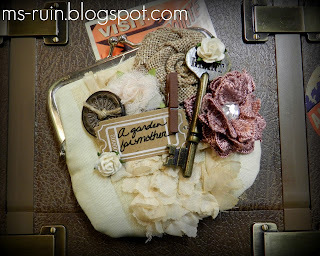 First of all, the coin purse is made of canvas (I cannot wait to make one for myself with embossed black birds!) so already it's awesomeness. Lots of Maya Road and hardware by Tim Holtz. 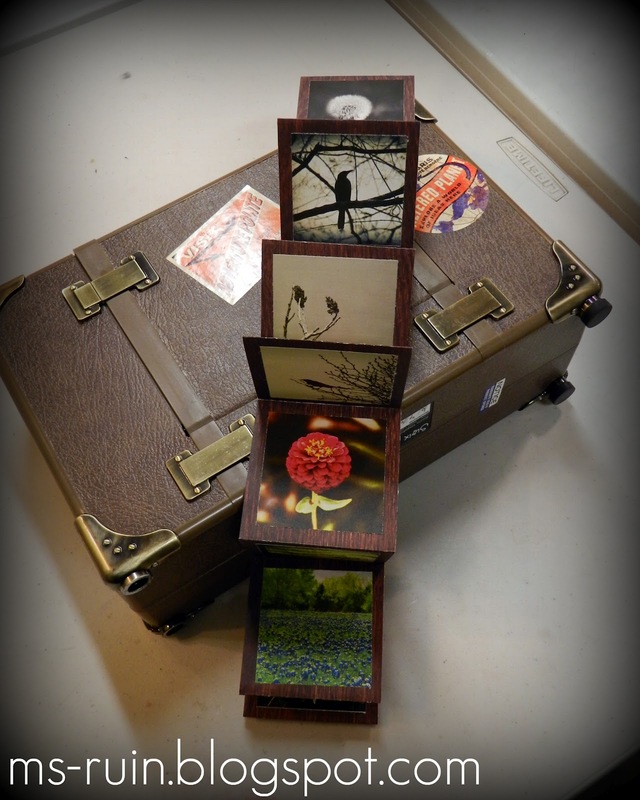 My thought with this was to make a "Garden for Mother" --so on the inside I made this accordian style pull out with a bunch of my own garden/nature photography. Genius, I know! If you would like to make this same coin purse but don't have garden/nature shots, I will gift them to you in 2.5 x 2.5 (perfect size for the purse)...just shoot me an e-mail atmsruintx@gmail.com and I will send them to you!" must have list. They are so pretty! Tattered Angels spray ink, my sewing machine, Tsukineko inks, Maya Road zipper trim, and the flower is Websters I believe. These papers are so happy and colorful - you will want some for sure!! 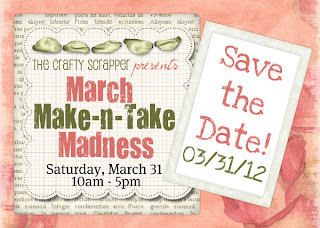 Don't forget that we are having a fabulous event on March 31st!! Get all the info HERE - tickets are going like hotcakes! Get yours while the last. You will have a chance to win a Tim Holtz Vagabond machine!!! Thanks for stopping by and have a fabulous week!! The chevron papers are by October Afternoon "Cakewalk." 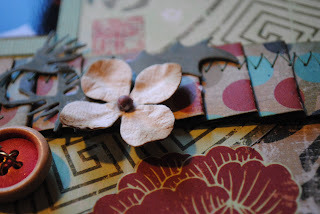 I love flowers so I couldn't resist adding this suede Maya Road flower even though it is a boy layout. I think the fabric and color made it suitable. The chipboard star and cowboy card are both from October Afternoon's Sasparilla line. It is THE cutest paper. swoon. 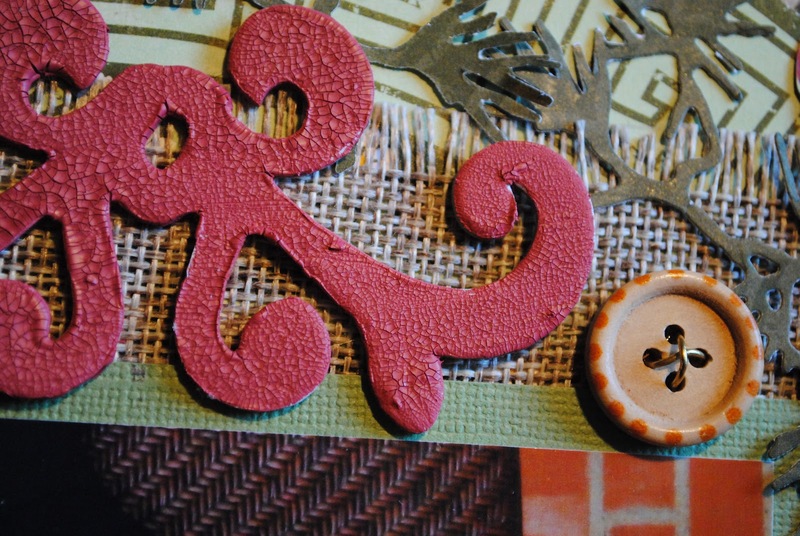 Here are a few projects from one of our Facebook Fans Jana Odell. She made this frame for a friend. 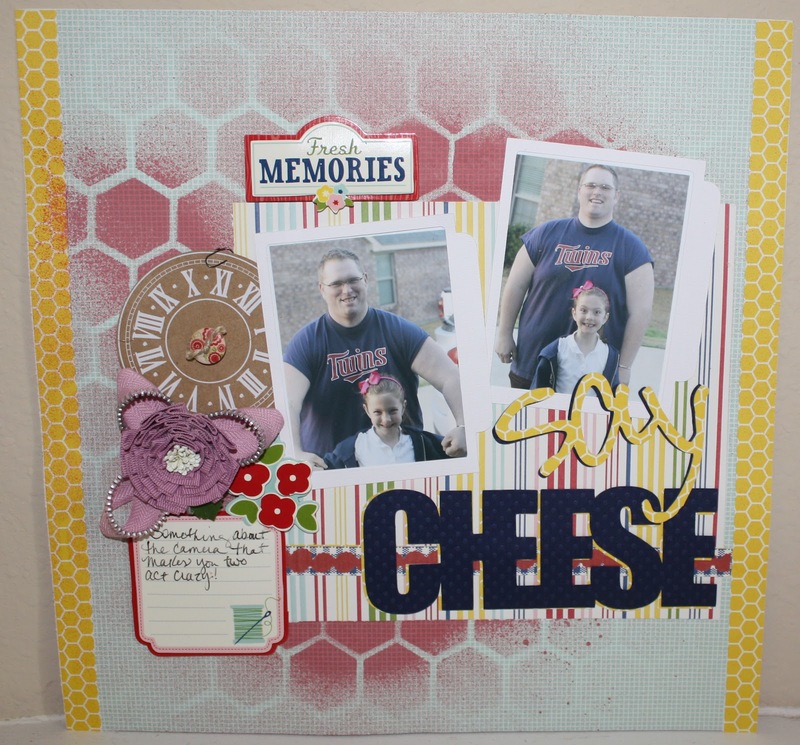 This layout is Jana and her family. This Celebrate layout was designed by Jennifer using October Afternoons 9to5 collection: supply closet, dictation, and paid in full. She also used Prima flowers, and Maya Road flowers, kraft owl, envelope, and October Afternoon 5 & Dime stickers, Boarding pass letter stickers, and misc. trim. I have been working on some new design team projects for The Crafty Scrapper and thought I would share a few with you today. The new Pebbles line Fresh N Good has some beautiful colors for spring and summer photos. As always there are a ton of Maya Road embellishments on these pages as well. Be on the lookout for all of the new products hitting the shelves soon. Products used on this page: paper: Pebbles Fresh N Good (Signage, Daily Special) Maya Road mist, zipper trim, flower and kraft clock) I used my silhouette cameo to cut out the title from bazzil cardstock.